Children Dentistry - Dentallive Clinic LTD.
Dentallive Clinic treats patients from all ages, the sooner children get used to the dentist the better they are prepared for the future. The first “regular” dental visit should be just before or after your child’s third birthday. The first dental visit is usually short and involves very little treatment. We may ask you to sit in the dental chair and hold your child during the examination. Tooth decay and children no longer have to go hand in hand. At our office we are most concerned with all aspects of preventive care. 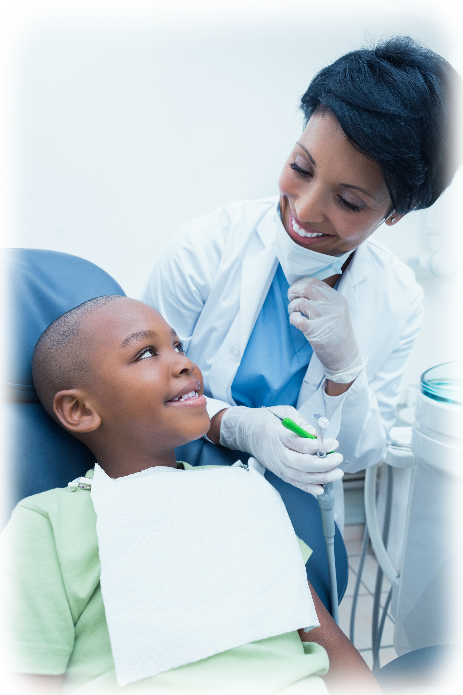 We use the latest in dental sealantstechnology to protect your child’s teeth. Dental sealants are space-age plastics that are bonded to the chewing surfaces of decay-prone back teeth. This is just one of the ways we will set the foundation for your child’s lifetime of good oral health. Most of the time cavities are due to a diet high in sugary foods and a lack of brushing. Limiting sugar intake and brushing regularly of course can help. The longer it takes your child to chew their food and the longer the residue stays on their teeth, the greater the chances of getting cavities. The first baby teeth that come into the mouth are the two bottom front teeth. You will notice this when your baby is about 6-8 months old. Next to follow will be the 4 upper front teeth and the remainder of your baby’s teeth will appear periodically. They will usually appear in pairs along the sides of the jaw until the child is about 2,5 years old. At around 2,5 years old your child should have all 20 teeth. Between the ages of 5 and 6 the first permanent teeth will begin to erupt. Some of the permanent teeth replace baby teeth and some don’t. Don’t worry if some teeth are a few months early or late as all children are different.